The said MOU was signed by Mr. Yogesh Patil, Dy. Director of Directorate of Vocational Education Training (DVET) on behalf of the Maharashtra government. Mahindra & Mahindra Ltd. was represented by Mr. Vijay Kalra, Chief of Manufacturing Operations – Automotive Division, Mr. Vijay Nair, Vice President – Admin & CSR (AFS) & ER (AD), Mr. Hiraman Aher, Vice President – Operations, Nashik & Igatpuri, Mr. Nasir Deshmukh – General Manager – Operations, Igatpuri and Mr. Nitin Deshpande – Head Employee Relations, Igatpuri. 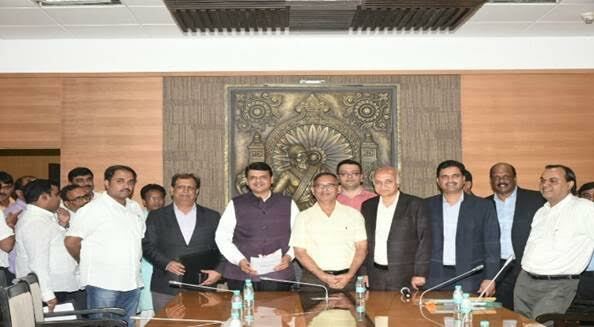 The MOU was signed in the presence of the Honorable Chief Minister, Shri Devendra Fadnavis. M&M is optimistic of its support towards the Skill India and Make in Maharashtra campaigns. Raising skill excellence through the educational system at the local level is a promising dream for the youth of our country. Together, we will ensure that the youth RISE to new challenges and the opportunities that the future upholds.